Platelet Rich Plasma (PRP), is a new approach to anti-aging which allows Dr. Marcia Byrd, M.D. at Byrd Aesthetic & Anti-Aging Center to use a patient’s own blood as a dermal filler. PRP is natural and contains no animal or foreign components so the body readily accepts it. When injected just under the skin, it activates new skin cell growth and stimulates new collagen growth. PRP discharges a protein which prompts new cells to grow and spread throughout the treatment area. During a short office visit, the blood is spun through a centrifuge creating Platelet Rich Plasma (PRP). This PRP is then blended with a fibran mixture to create a Platelet-rich Fibrin Matrix (PRFM). This PRFM can then be injected into treatment areas as facial filler, resulting in an immediate response, with gradual, lasting results becoming apparent in three to four weeks. Dr. Byrd can perform the entire procedure at her clinic in less than 30 minutes using no general anesthesia. It is possible to achieve your desired results after just one visit! The fact that PRP is created from the patient’s own body is the biggest advantage this procedure offers. This means the risk of an allergic reactions is extremely small. The PRP process is finished in thirty minutes or less and is rarely uncomfortable. PRP stays fluid under the skin so there is never a need to be concerned about unsightly knots or clumping. Platelets are known to promote tissue regeneration. 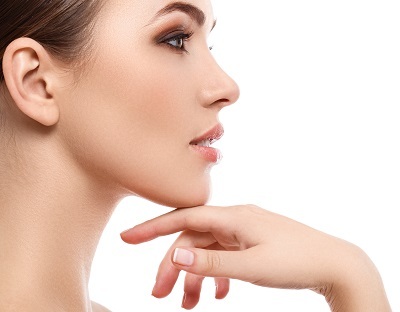 PRP can be used to give a fuller appearance to skin divots, pock marks, and hollow cheeks. It can diminish the scars left by acne and greatly improve the lines around the mouth and nose which develop with time. PRP may also be used on any area of the body which needs to be plumped or to create areas with more definition. First, blood will be drawn from the patient’s vein. After using the patient’s blood to prepare the filler, Dr. Byrd will inject the PRP into the treatment area. It is placed just under the skin, but some doctors also choose to use a local anesthetic to prevent any discomfort. Recovery after PRP treatment is relatively easy. Pain medication is not required, and the patient will only experience mild swelling and bruising for a day or two. Some patients may also have minor itching, but this is only a mild irritation. After two to three weeks, the treated area will look smoother as new cells fill in under the epidermis. The improvement seen will continue for several weeks until signs of aging are greatly diminished. Because doctors follow a special protocol when working with blood products, the risk of infection is slight. PRP is safer than most other dermal fillers being used today and problems are rare. Dr. Marcia Byrd and her team of experts care for patients throughout the United States and Canada. Locally, Dr. Byrd services the North Atlanta, GA area including Roswell GA, Alpharetta GA, Milton GA, Woodstock GA, Canton GA, Dunwoody GA, Sandy Springs, GA and more. If you would like more information about PRP treatment call (770) 587-1711 and schedule a consultation. Be the best you can be and live a full life – there is no reason to wait!